Breathtakingly spectacular with high end designer finishes throughout, this beautiful home is sure to please even the most discriminating buyer. 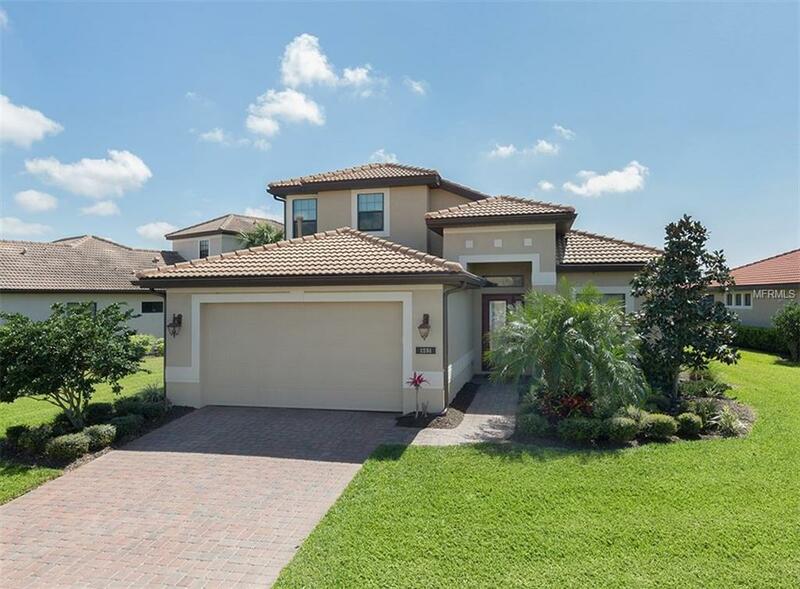 Located in the highly sought after and gated community of Willow Chase, this lovely home is situated on a beautiful lakeview lot with coveted southern exposure that allows an abundance of natural light to come pouring in. Imagine sitting on the beautiful, custom lanai that is perfectly accentuated with Artistic Pavers and a BBQ island overlooking your shimmering saltwater pool/jacuzzi and sparkling lake while you enjoy your favorite beverage. This lovely home truly separates itself from all the others. Some of the designer finishes include; Italian porcelain tile throughout all the main living areas, high impact windows, upgraded wood cabinetry throughout with custom, cushion close hinges, granite countertop and center island in the kitchen highlighted by stainless steel appliances. The travertine countertops in the bathrooms are stunning. The kitchen pantry as well as most of the closets have custom organizing systems. This fantastic property is truly a show stopper. Low HOA fees include; ground maintenance, community clubhouse and pool, tennis and basketball courts and tot lot. No CDD fees.